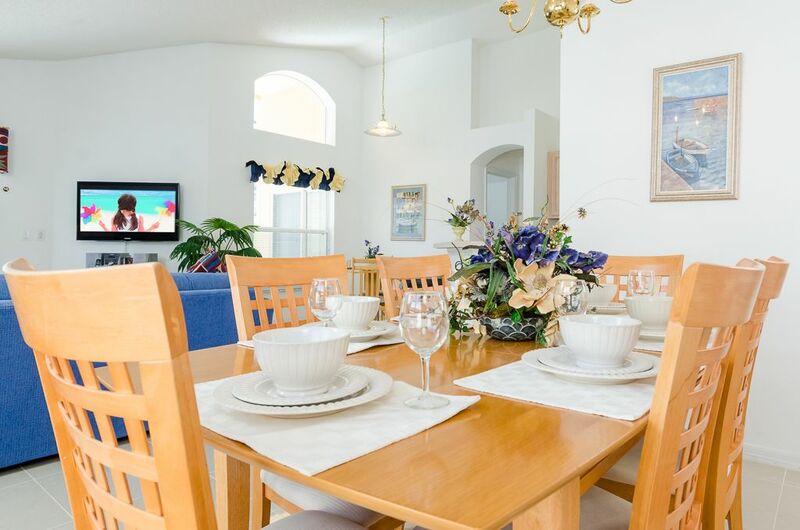 Emerald Island Resort is an exclusive development of executive 3, 4, 5, 6 and 7 bedroom Kissimmee vacation homes, rental pool homes with resort clubhouse and many other amenities for guests to enjoy. As you enter you immediately find yourself in a beautifully landscaped tropical resort, with driveway that stretches toward the manned security gatehouse and through to the stunning entrance rotunda with a Dolphin Fountain at the center, sweeping around to the clubhouse and facilities. The club house has a reception area which sells newspapers and sundries and provides information for guests staying at the resort. There's a guest lounge where you can meet other families staying in Emerald Island. 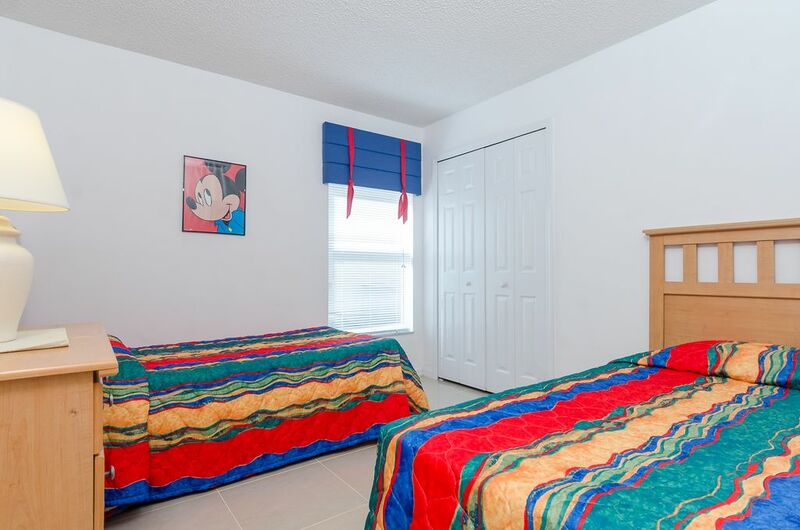 The kids can enjoy themselves in the games room, or on the video arcade games provided, and you can "keep in touch" while on vacation with the IT center that provides high-speed internet access for guests. If you want to "work-off" some of that extra food you'll enjoy while on vacation, or simply keep the program on track - take the time to use the fully-equipped fitness center at Emerald Island, work out with a game of volleyball on the sandy court with some new friends, enjoy a game or two on the tennis court or "shoot some hoops" on the press-court. 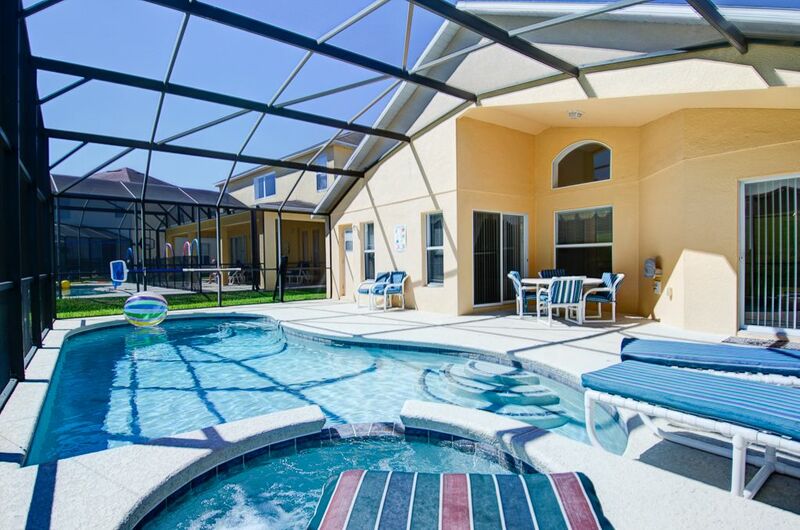 The clubhouse features a sparkling pool and hot-tub/spa pool for guests to enjoy, and there's a sun-deck to drench yourself in the Florida "rays" or to sit under the shade of a gazebo. If it gets too hot for you under the hot Florida sunshine, or if you want some nightlife with other guests around - why not come and enjoy the Tiki Bar by the pool side? ***Free high-speed internet in villa*** (just bring your laptop). Upgraded size private pool and jacuzzi. 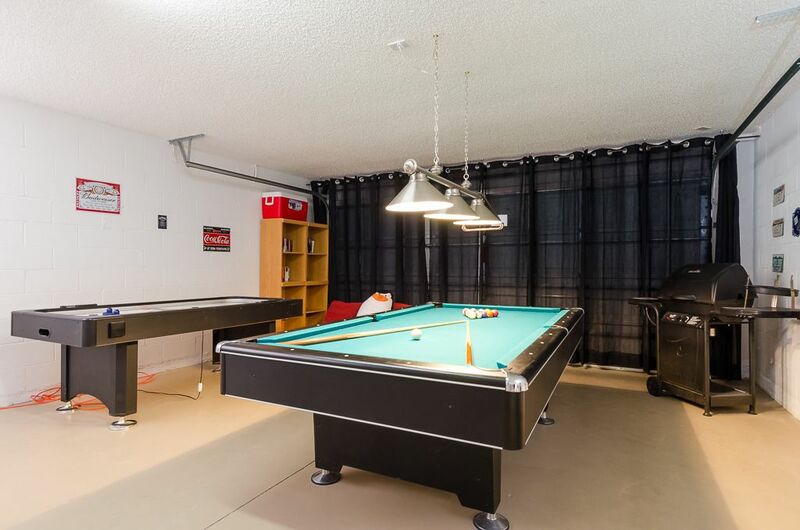 Games room with full size pool table, 7-foot air hockey, large TVs, cable, DVD, CD, Playstation and games, and BBQ. 4 bedrooms, 3 bathrooms, executive style furnishings. Sleeps 10. This air-conditioned villa is fully equipped with lots of extras and offers everything for you to maximise and enjoy your dream holiday. With its open planned design offering the living room overlooking the private pool and spa, formal dining room and the fully equipped kitchen and kitchen nook. 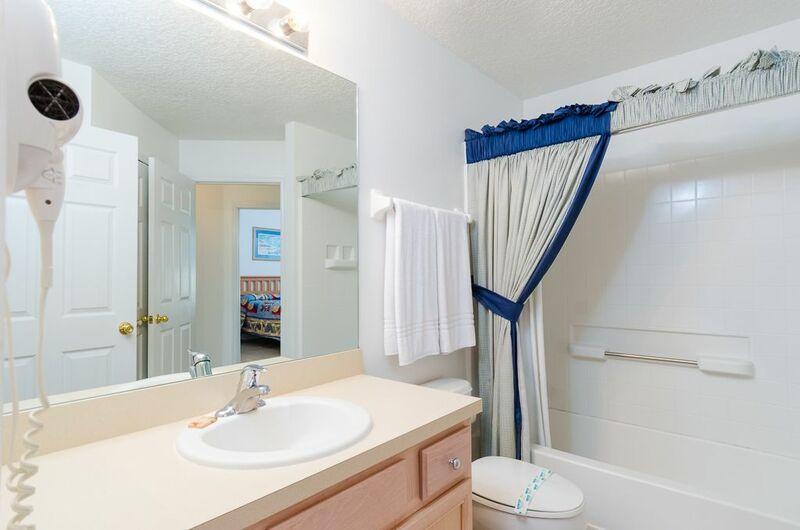 The master bedroom with pool access and ensuite is light and airy coupled with its own walk-in closet for all the clothes you will be buying from the nearby shops as well as its own TV with cable, alarm clock and hairdryer. 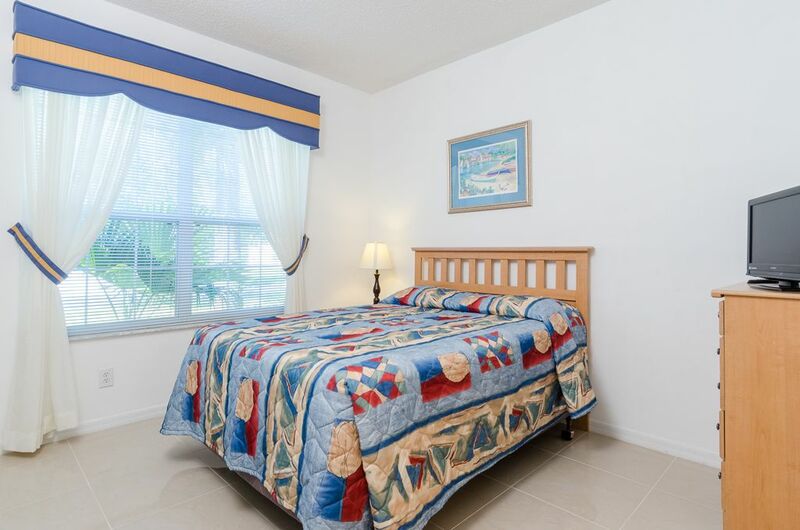 Then there is the second master bedroom with walk in closet, cable TV, alarm clock and hairdryer. 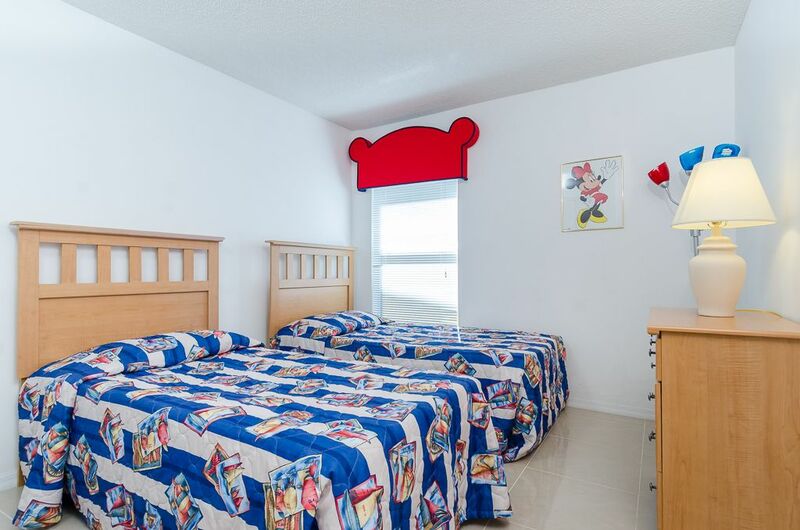 For the kids there is two twin bedded rooms with a family bathroom. For those of you with lots of people visiting Disney and would like to rent two houses side by side we are also able to offer Oasis Villa. 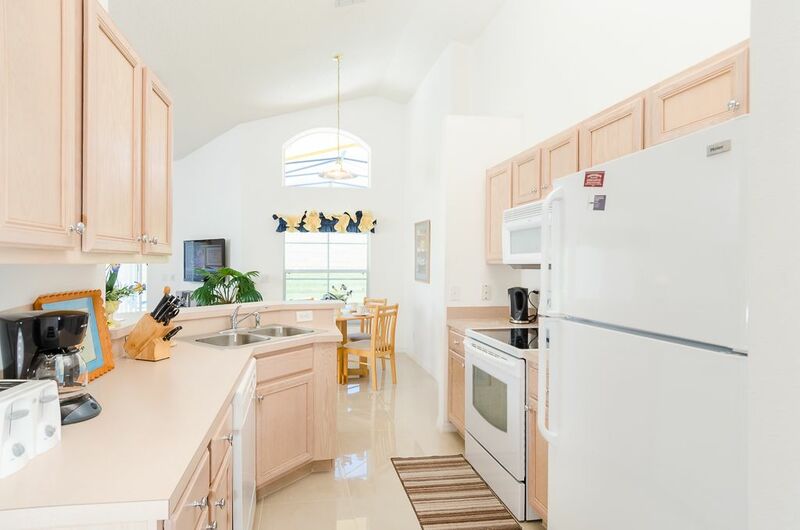 This home has the same floor plan and same amazing features such as private pool, spa, game room and it also has free broadband access. The only decision you need to make is which pool you are going to jump in the most. We had a great stay at Emerald Island Resort. 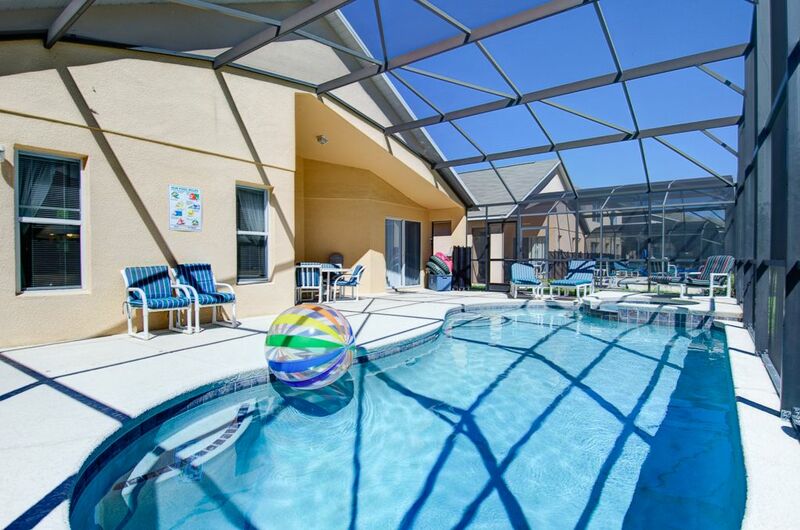 The house was very nice, well appointed, the kids loved the pool, and the location was perfect for Disney. Lee with Greendale Property Management was very helpful and came right out when we had questions. "We stayed this villa . It was spacious, luxurious and very clean. 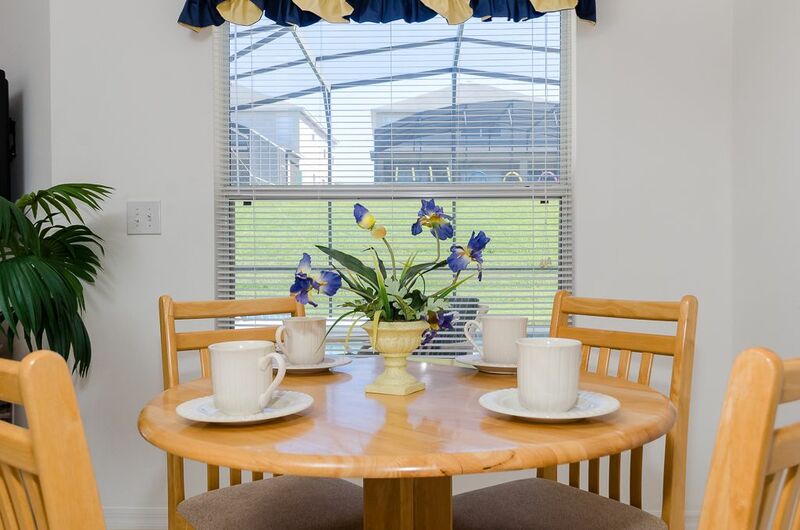 We would rank it very highly as the resort is quiet, clean, friendly and very close to all of the theme parks. We would definitely book this Villa again.". 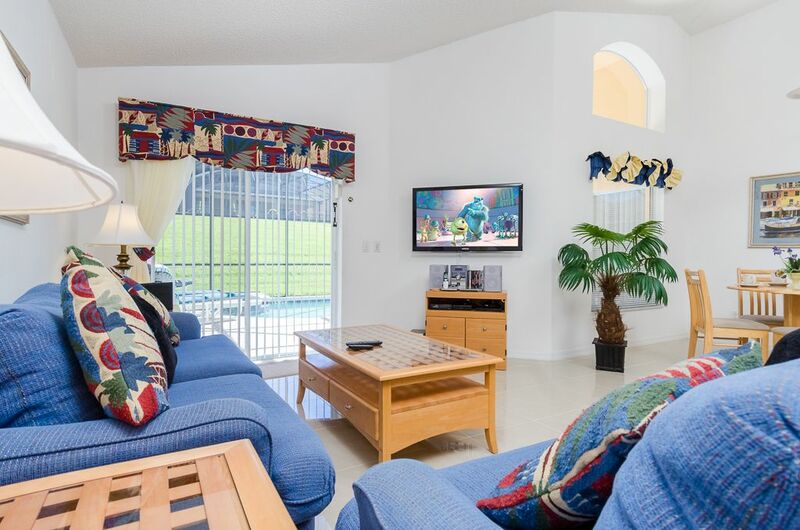 "Luxury villa, really clean,lots of extras,private and secure really close to Disney. fantastic can't fault accomodation brilliant value we will definitely book again.". "Our three generations of family (6-months to 60 years) found the villa comfortable and perfectly presented, clean and pristine. The pool, games room,books,Tv and internet access kept all of us entertained including my 3 year old granddaughter who particularly liked the pool. 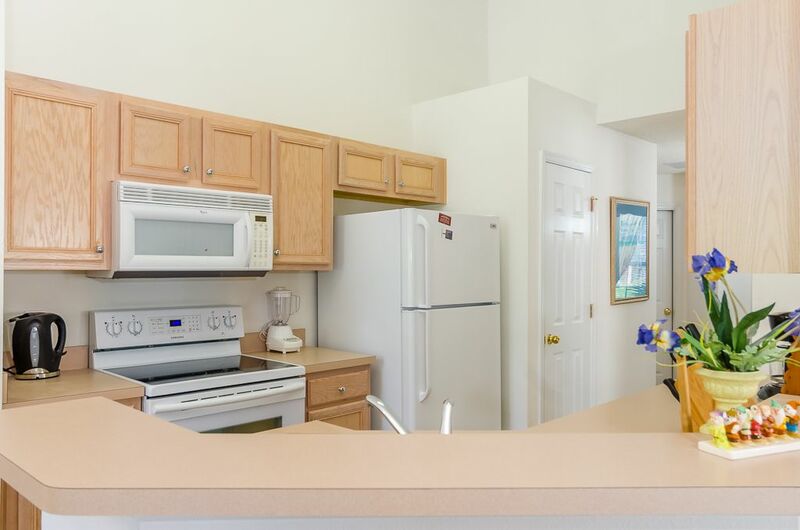 We particularly appreciated the quiet and secure location at Emerald Island and yet how close it was to shops, restaurants and of course the Disney Parks! I would also like to thank you for the smoothness of the whole booking process, the additional information you gave us and the speed at which you answered any of our queries. No doubt with grandchildren we shall return to the parks in the future, and when we do we would like to be able to contact you to stay at the villa again; it did exactly what it said on the tin! ". 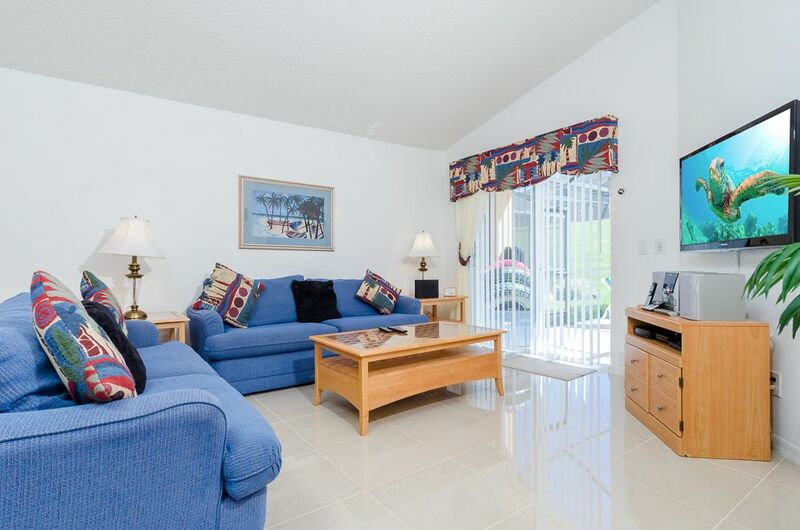 Have you stayed in Emerald Island Palms? 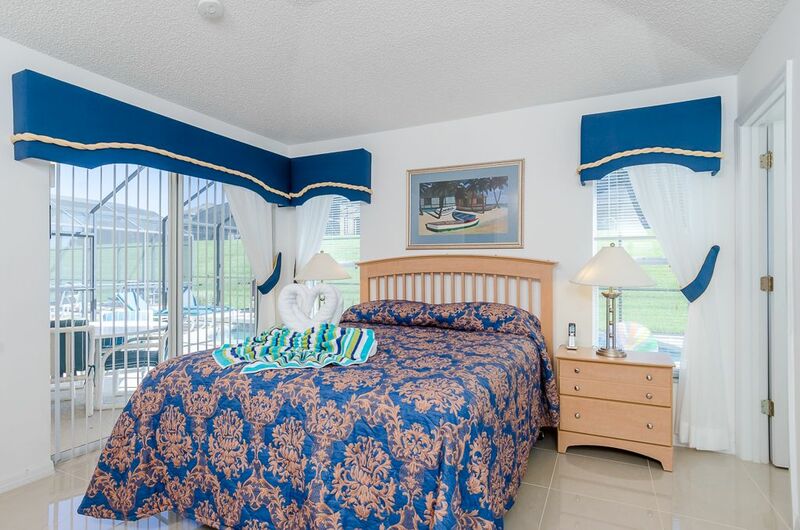 If you have visited in and stayed in Emerald Island Palms please provide us with comments on your experience. For security reasons, only your name and comment will be posted.